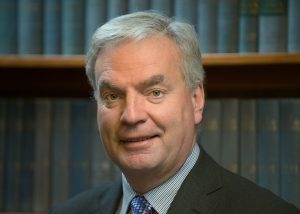 Allan Hunt is the Senior Partner in MPP Solicitors, overseeing most areas and specialising in Employment and all areas of Litigation. I was then employed by Mitchell Caulkett & Coiley in Maldon becoming a Partner towards the end of 1981 where I have continued primarily engaged in all types of Civil Litigation and also specialising in Employment Law. I have handled most typed of Civil Litigation including Money Disputes, Boundary Disputes, Building Disputes, Inheritance Claims as well as contested Employment Claims. I have also had extensive experience of Landlord & Tenant Disputes as well as Contractual Claims including some high value Commercial Claims. I was a member of the Association of Personal Injury Lawyers for over 10 years and oversaw the merger of Mitchell Caulkett & Coiley and Plampin & Co., to form The Mitchell Plampin Partnership in 2001, now known as MPP Solicitors.